Learn how to use service modelling to streamline and optimize processes! Information about customer needs, the technical composition of services, and service performance are fundamental to effective service management. Service modelling is a structured approach to utilizing this information to improve the way services are delivered. Consistent application of service modelling provides the automation of processes and timely access to information. Service Modelling presents a comprehensive, up-to-date overview of the topic, presented in the context both of business processes, and of requirements stemming from the need to manage network resources. Vilho Raisanen delivers a justification for service modelling, and explains state-of-the-art concepts, frameworks and standards in detail. Provides a complete and illustrated overview of state-of-the-art concepts for service modelling, covering requirements and frameworks. Includes industry initiatives, conceptual frameworks, and the work of standardisation bodies. Discusses different modelling approaches, and the positioning of modelling of services in service management and in the wider operational context. Sets the modelling framework in the context of business drivers and modelling paradigms. Illustrates principles with real-world use cases, providing both fixed Internet and mobile network examples. Relates concepts to the work of TeleManagement Forum, giving practical examples throughout. 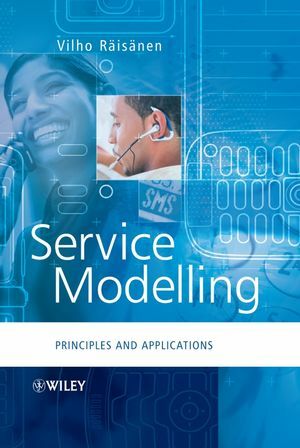 Service Modelling: Principles and Applications is an invaluable guide to service modelling for telecommunications and data communications professionals, including vendors, operators, consultants, training organizations, service and content providers, system architects and engineers for IP-based services. 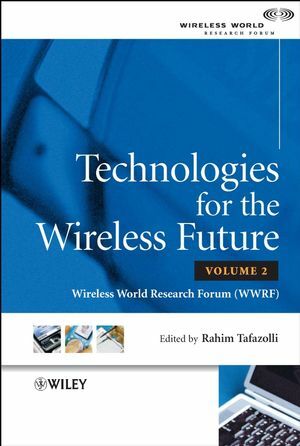 Educational organizations, advanced undergraduate and graduate students on telecommunications and networking courses will also find this text invaluable. Dr. Vilho Räisänen is Principal Engineer in Service Management technologies at Nokia Networks. He has contributed to IETF (Internet Engineering Task Force) and ETSI (European Telecommunications Standards Institute) standardization efforts, and lectured the course “End-to-end IP service quality and mobility” at the department of Electrical Engineering of the Helsinki University of Technology. He is the author of numerous peer-reviewed articles in international journals in data communications, and author/editor of two Wiley books. Information About Trademarks and Copyrights. 1.1 Definition of Service Modelling. 3.7 IT Service Management Forum. 3.8 Activities Related to Internet Services. 3.9 Other Fora and Viewpoints. 4 Requirements for Service Modelling. 4.2 General Requirements and Concerns. 4.6 Stakeholder Type–Specific Requirements and Concerns. 5.1 Description of the Framework. 5.2 Assumptions about Inter-provider Relations. 5.3 Relation to Existing Frameworks. 6.4 Using of Service Framework in Management Framework. 7.3 Notes About Using Service Model Patterns. 7.4 Relationship to Existing Models. 8.5 Link to Service Management. 9.5 Link to Service Management. 10.5 Link to Service Management. 11.1 Issues for the Future.